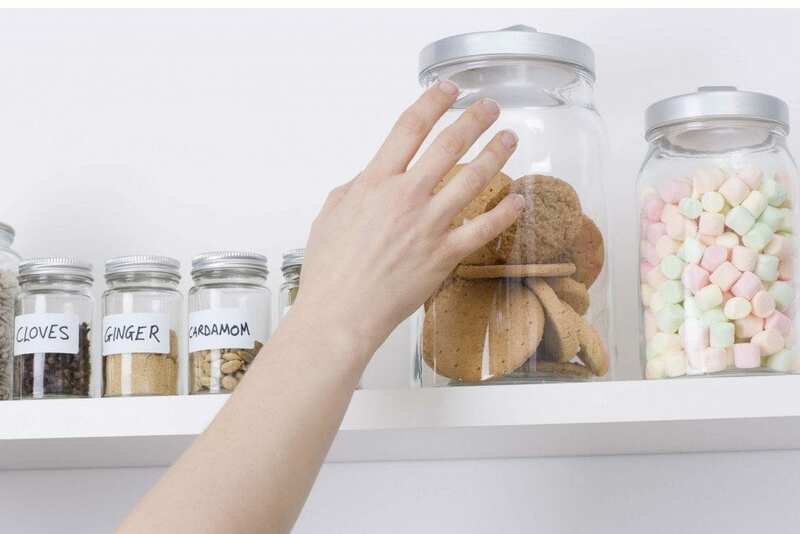 Snacking is the downfall of many a dieter. As anyone who completes a food diary (we recommend the brilliant myfitnesspal) will know, little nibbles can soon add up to an alarmingly large quantity of our daily calories. But sometimes half an apple and nut butter or a bag of crudités just won’t do. 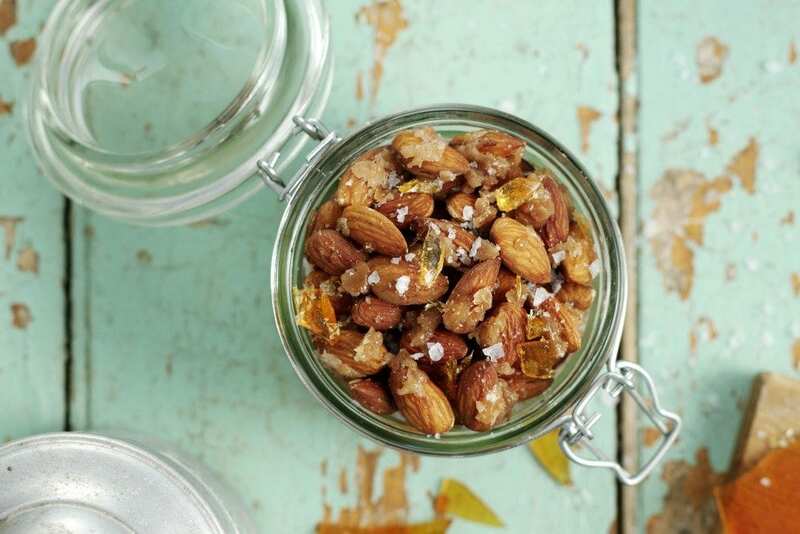 To stop you heading for the family size bar of Fruit and Nut, buy a big bag of almonds and jazz them up a bit with our three easy recipe ideas. 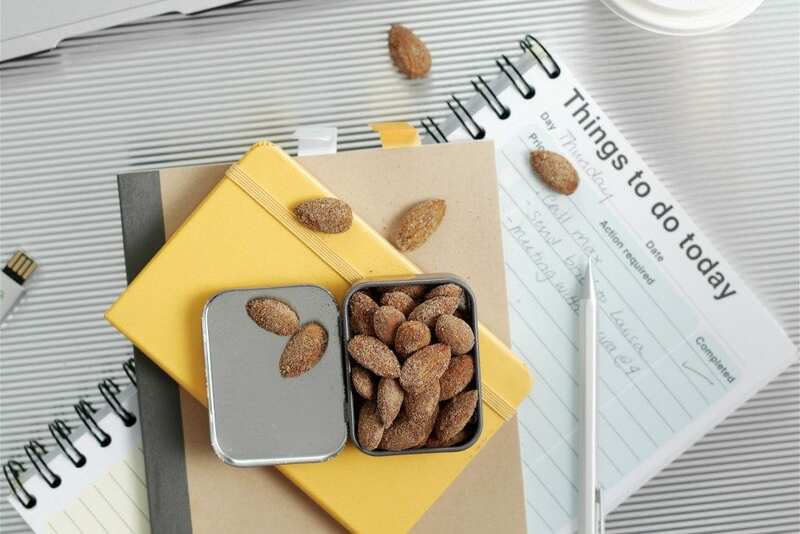 Simply combine the almonds, chopped chocolate and chilli flakes, then share between 4 small tins or sealable pots. If dried chilli flakes are too hot for you, choose dark chocolate flavoured with chilli for a more subtle taste. Heat the almonds in a dry frying pan for about 1-2 minutes, stirring, then add the butter and let it melt, stirring it into the nuts. Sprinkle in the sugar and cook for 1-2 more minutes, until the sugar caramelizes and just begins to smoke a little. Remove from the heat immediately and cool. Sprinkle in the sea salt, then serve. Great when: You’re craving a coffee and a brownie – double win! Put the almonds into a dry frying pan and heat for about 1-2 minutes, then add 1 tbsp water, along with the coffee powder and 1 tbsp chocolate powder. Stir for a few moments until the liquid has evaporated and the almonds are coated, then remove from the heat and cool. Add the rest of the chocolate powder and toss to coat. Leave out the coffee powder if you prefer a more chocolately flavour, and for more intensity, use cocoa powder instead of hot chocolate. Treats this delicious need portion control. 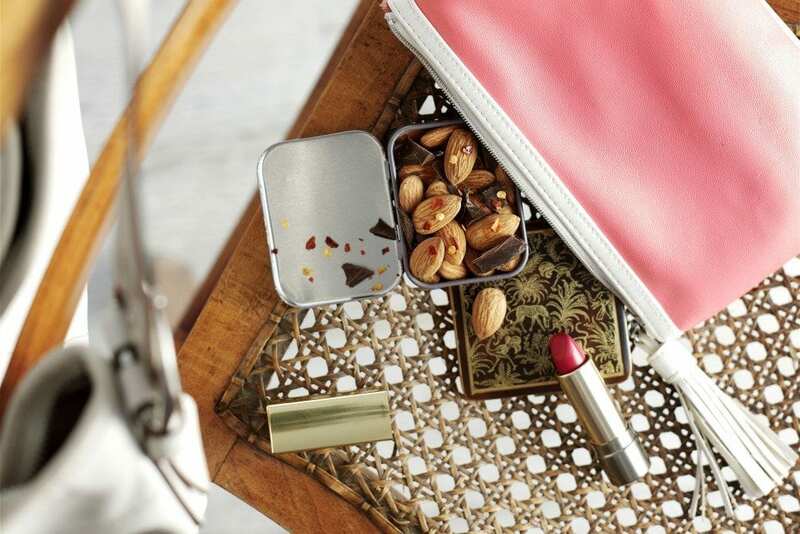 So when you’re done, portion out into four little tins and keep on hand for emergencies. Like when the office biscuit tin does the rounds.